Owners Julie and Geoff Hawksworth discovered the micro? brand while living in London in 2003. While walking with her daughter to school, Julie spotted a commuter on a scooter and was so impressed with its design and evident quality that she went home and promptly ordered one, the first of many micro? 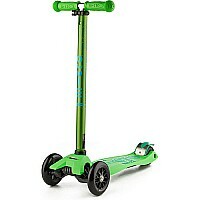 scooters for her and her family. Daughter Sophie, then 5, rode her scooter to school, with Julie trailing behind, then riding it home. 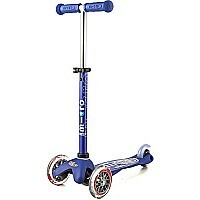 Julie says she loved the way it turned her 20-minute walk into a fast, fun scoot. 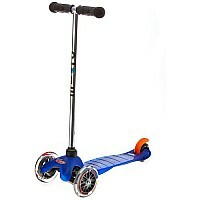 She was amazed by its smooth glide, even on London sidewalks, and couldn?t help but compare its solid construction with the shake and rattle of other brands. She knew then that the design and quality of the Micro brand was a game-changer, that adults and kids alike would appreciate the quality ? 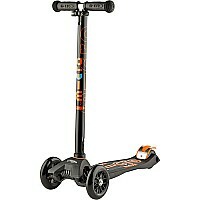 the smooth, quiet glide, the solid construction, the great design.